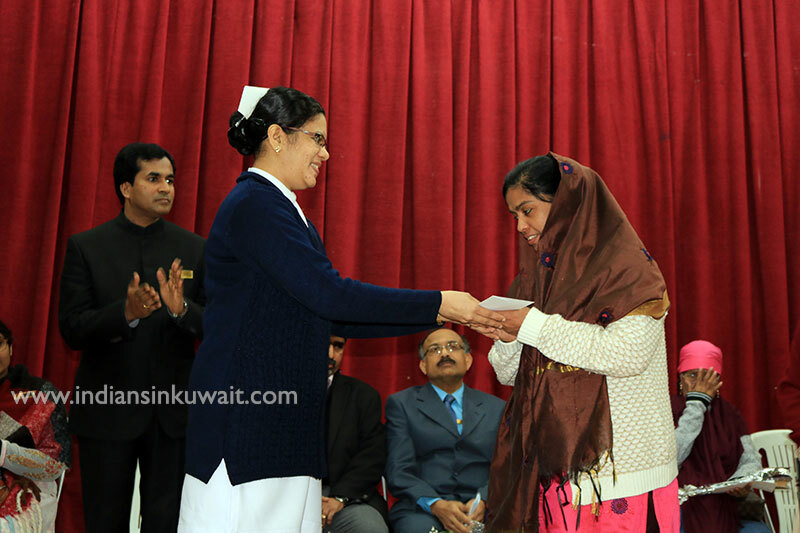 At the Indian Community School Kuwait, we believe that not only marks but values make a difference in life.Hence, we take pride not only in academic excellence but also in lending a helping hand to the ones suffering from serious illness. 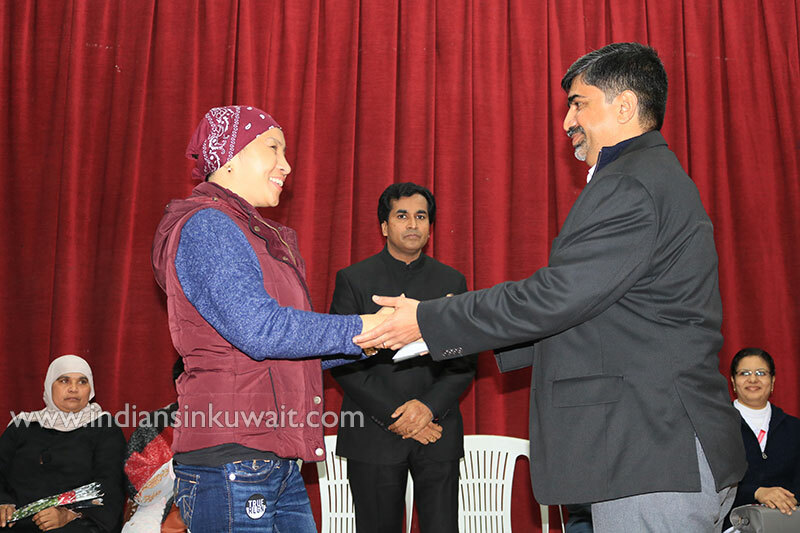 20th January 2019 marked a milestone in the history of ICSK (Senior) as the special charity assembly was conducted and the occasion was graced by the presence of Dr.SanjayThurathel, Specialist in Medical Oncology and Sister Gigimol from Kuwait Cancer Control Center. The Principal& Senior Administrator,Dr.V.Binumon in his welcome speech expressed his gratitude to Dr.SanjayThurathel and Sister Gigimol on behalf of the management and students. Dr.Sanjaylikewise, expressed his gratitude and was happy to know that ICSK (Senior) has helped many cancer patients over the past 4years. He also gave tips to avoid cancer to lead a healthy and happy life. This month’s recipients were Mrs.Meliza Cruz, Mrs.Sareebdien Noor, Mrs.EnricaDalogAlingog and Mrs.VincyHareesh who were handed over monetary aid on behalf of the school by Dr. Sanjay and Sister Gigimol.The school expressed their gratitude to Dr.SanjayThurathel and Sister Gigimol by presenting them with mementos for their efforts. The charity segment was followed by the dance performances by students of classes 9-A and 9-B which kept the audience spellbound and enchanted.The highlight of the program was the mesmerizing song sung by students of class 9-B. The assembly concluded by presenting Master Muqlis Mois of class 11-H with a memento and certificate of appreciation for his participation as a Juror in the Ajyal Film Festival 2018, Qatar.